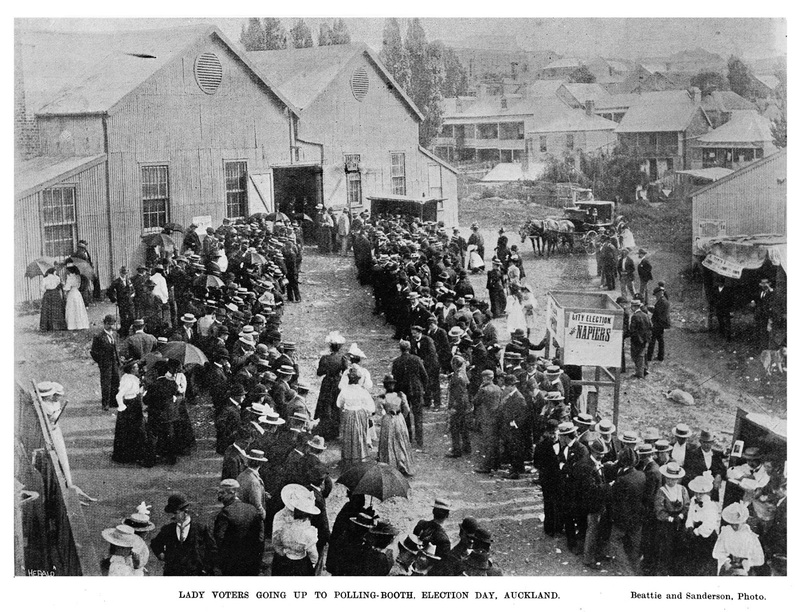 As part of our Wāhine Take Action programme celebrating the 125th anniversary of women's suffrage in Aotearoa, we recently held two suffrage story research workshops at Tāmaki Pātaka Kōrero (Central City Library). The aim was to uncover stories of women who signed the 1893 women's suffrage petition - many of whom we know little about. By researching and telling their stories we celebrate the action they took in signing the petition - an individual act that helped bring about a huge change for the wāhine of Aotearoa. This is the story of Harriett Garland, written and researched by Donna Salmon, one of our workshop participants. Harriett's biography is also now part of the interactive display at the He Tohu exhibition and on the suffrage petition database at NZHistory. By1890 the Garlands had settled in Ponsonby, Auckland. Thomas became a manufacturing grocer, running as a family business one of the four baking powder factories in Ponsonby at the time. When Harriett signed the suffrage petition in 1893, she and Thomas were living in Lincoln Road, now with seven children. Their youngest child, John, was born three years later, in 1896. Henry Winkelmann. 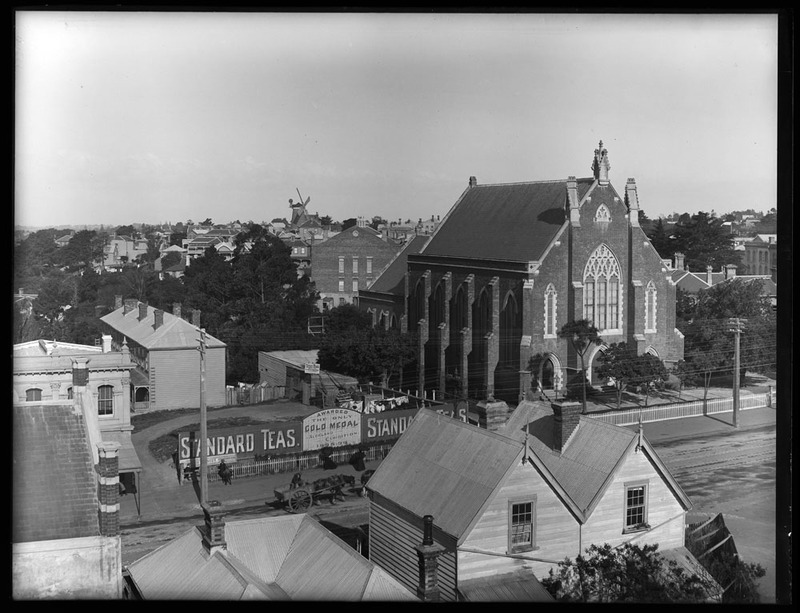 Looking north east from the Brigade Station Tower showing the Pitt Street Methodist Church. 1903. Sir George Grey Special Collections, 1-W1052. Group portrait of the National Council of Women of New Zealand 1899. Mrs Garland is on the left of the front row. Sir George Grey Special Collections, Auckland Libraries, AWNS-18990421-8-1. Harriet's signature on sheet 390 of the Women’s Suffrage Petition. Patrick Day. 'Garland, Thomas Threader', Dictionary of New Zealand Biography, first published in 1998. Te Ara - the Encyclopedia of New Zealand, https://teara.govt.nz/en/biographies/4g6/garland-thomas-threader (accessed 16 August 2018). Hames, E. (1970). 100 years in Pitt Street : Centenary history of the Pitt street Methodist Church, Auckland. Auckland, N.Z. 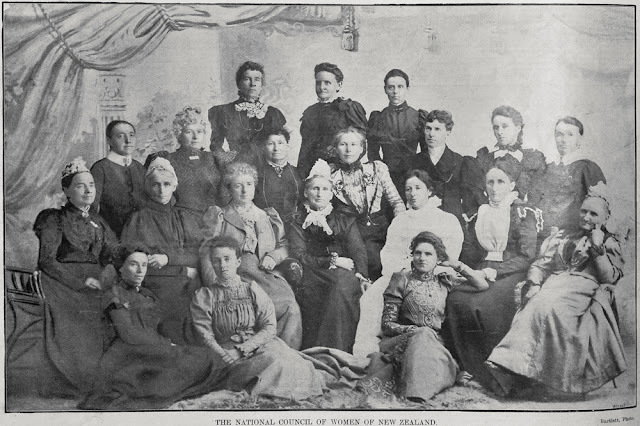 : Pitt Street Methodist Church Trustees. Mrs Garland is elected as recording secretary for the WCTU: MEETINGS AND ENTERTAINMENTS., New Zealand Herald, Volume XXXIV, Issue 10627, 16 December 1897. In this article, Harriett is referred to as corresponding secretary for the WCTU: CHARITABLE AID., New Zealand Herald, Volume XXXV, Issue 10773, 7 June 1898. Mrs Garland compelled to resign as secretary, due to illness: ENTERTAINMENTS AND MEETINGS., New Zealand Herald, Volume XXXVI, Issue 11246, 15 December 1899. WCTU members attend funeral of Mrs Garland, and send a wreath: ENTERTAINMENTS AND MEETINGS., New Zealand Herald, Volume XXXVIII, Issue 11638, 27 April 1901. DEATHS, New Zealand Herald, Volume XXXVIII, Issue 11633, 22 April 1901.